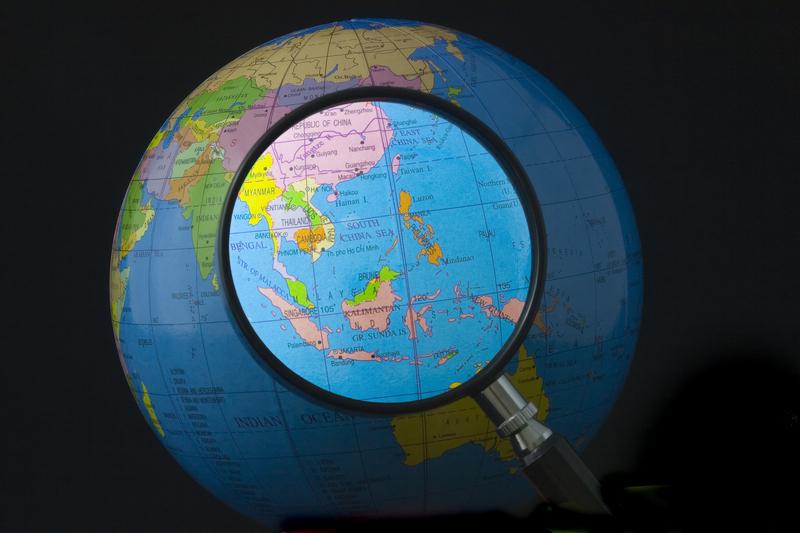 Another foreign law firm has chosen to not maintain a physical presence in Asia – while instead focusing on foreign direct investment from Asia into the jurisdictions where they practice. This strategy is employed by firms primarily as a means to secure work around Asia’s growing foreign investment while not being exposed to Asia’s constituent economies domestic regulatory and competitive pressures — and more recently, an economic downturn in China – which could extend elsewhere in the region. This development was one focus of a recent report on Asia by Yun Kriegler (@TheLawyerAsia) in The Lawyer – where she outlined how US-based law firm Chadbourne had decided to leave Asia 15 years after opening in China. Instead, the firm will focus on outbound foreign investment from Asia to the international jurisdictions where it continues to practice. With a crowded, competitive legal market in Asia and the recent downturn in the Chinese economy – is it best for some foreign law firms to not open in the region — and instead focus on outbound foreign investment? “A common misconception is that there’s only one strategy for dealing and engaging with Asia. As a premium independent Australian law firm, Corrs Chambers Westgarth has pursued an alternate international engagement model which has proven very effective for our clients, rather than merging with an international firm. Corrs is an Australian based firm, so we are strategically positioned within the Asian region. Rather than having a representative office outside of Australia, Corrs relies on deepening strong, longstanding relationships with other significant law firms around the world to give clients access to genuine depth and expertise on the ground. Internationally, there are over 45 firms involved in the model, which continues to grow each year. We engage with Asia through being entwined in the region, and through being as efficient as possible in how we do business. Corrs has deep and enduring relationships, which is stronger than any bricks and mortar presence would be. We continue to experience a year on year increase in our international client base, derived from strong growth of inbound referrals, successful secondment and scholarship programs and increasing client brand awareness in Asia, as well as North America, UK and Europe, the Middle East. International clients now account for almost 40 per cent of the firm’s large corporate client base. It is our ambition to be the most globally connected law firm based in Australia. We have a unique global engagement strategy based on relationships and connectedness, with a seat at the table at the highest level of international business and politics, including at the G20, ABAC and International Chamber of Commerce. Corrs is the only firm in the Australian market to have these established senior business and government relationships. Kriegler interviewed Stuart Fuller, KWM Global Managing Partner, for the story, who addressed the challenge of capturing work around Chinese foreign direct investment (even for a firm with an elite domestic Chinese practice as KWM maintains). In that interview, Fuller cited low recovery rates and competitive pricing as essential elements of seeking to secure work around Chinese foreign investment. Can a remote strategy work? With the challenge to generating work from China and Asia in general in mind, I put the question of why this is a challenge to Chris Devonshire-Ellis, Founder of Asia-Pacific region foreign direct investment practice Dezan Shira & Associates – which maintains 28 offices and over 300 staff in operations throughout China, Hong Kong, India, Singapore, and Vietnam together with alliance partners in Indonesia, Malaysia, the Philippines and Thailand. The firm also maintains client liaison offices in the United States and Europe. Devonshire-Ellis outlined in an interview for this article that: “A lot of foreign firms came to China and established operations in the mainland and sometimes Hong Kong in order to facilitate an explosion of Chinese outbound investment. But in doing so, in some cases, the research underpinning these efforts was not good. A majority of Chinese outbound investment comes from state-owned enterprises (SOE’s). China uses them to acquire assets overseas. These matters are handled by the larger Chinese joint venture firms – like King & Wood Mallesons (KWM) and large international practices. They take that business – which requires specific contacts at a senior level within the Chinese government – as well as a lot of trust which needs to be placed in the firm by the Chinese government – and these are things that are difficult to have. A lot of firms didn’t realize this. There’s a market research gap here. With China’s faltering economy, local regulatory burdens and legal market competition increasing in most Asia-Pacific region domestic markets – the Corrs (and now Chadbourne) method of remaining physically outside Asia while focusing on outbound foreign direct investment from Asia – may now find its place as another well-known credible alternative strategy for foreign law firms seeking to creatively capitalize on Asia’s growth.